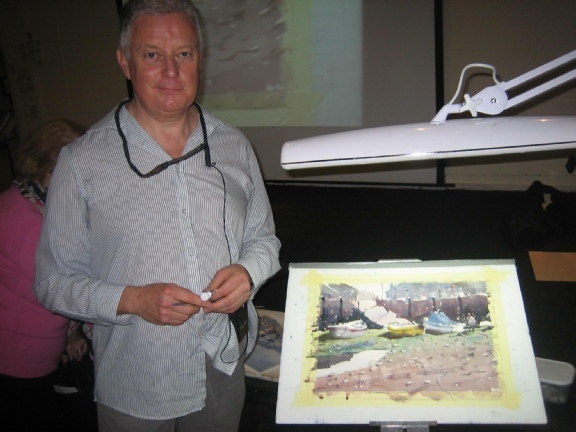 The members were fortunate to experience a great demo last night, where Tim Wilmot shared his techniques for painting in a loose, fluid and fast paced style. 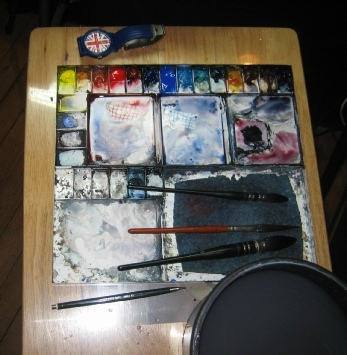 We were lucky to see two harbour paintings come to life... from the first pencil mark to the last flourish of his brush. A great night! 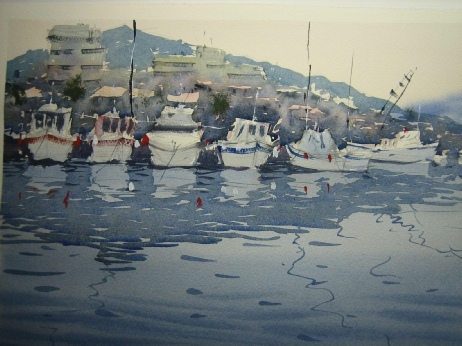 Tim is based in Bristol UK, specialising in Watercolours. He's painted all his life, and apart from art lessons at school, is completely self taught. He states, "I seem to have an affinity with painting landscapes, although I have dabbled with portraits and still life in the past, but always come back to landscapes. 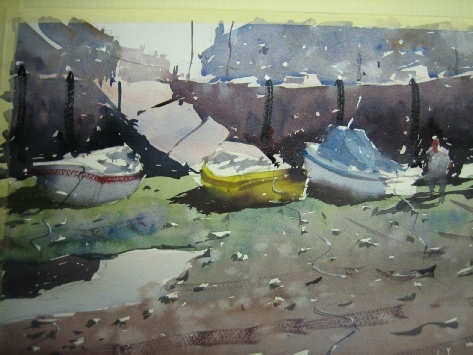 I prefer a loose or impressionistic style when I paint my watercolour landscapes, and I hope you like their informality. Most of the pictures on my site were done in my studio, but a few are done "plein aire" so to speak".